I had the opportunity to fly to Vancouver, BC and check out the set of Halo 4: Forward Unto Dawn. I was joined by my fellow Halo Waypoint Monitors and community members Nevin Douglas (CruelLEGACEY) and Jeff Easterling (GrimBrotherOne). We hung around the set, met the cast and crew, and filmed some interviews with the talented actors and 343 Industries employees that helped make the series possible. In this video I interview Daniel Cudmore, the talented actor behind the suit of Master Chief. 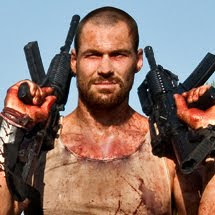 Cudmore has appeared in films such as X-Men and Twilight.